Having set out without, on the face of it, any ideas about the work they were going to undertake, Christian Barani, a French video-maker, and Bertrand Gauguet, a French composer and musician, accompanied by a Cypriot friend, collected the words and reports of people encountered (Turkish Cypriots, Kurds, and Greek Cypriots) in the Karpaz region, an area under Turkish supervision situated in the northeastern part of the island. The editing of Blind Song mixes these different voices which, independently of their nationalities, convey a shared powerlessness. They all denounce the same violence as conducted by the powers-that-be, who seem abstract in the face of people’s everyday reality. We discover a deep gap between official history and individual history. Blind Song attests to what everyone has lost, as well as to what everyone is subject to. The artists also question architectural styles which are like so many physical and symbolic markers of territorial appropriation. 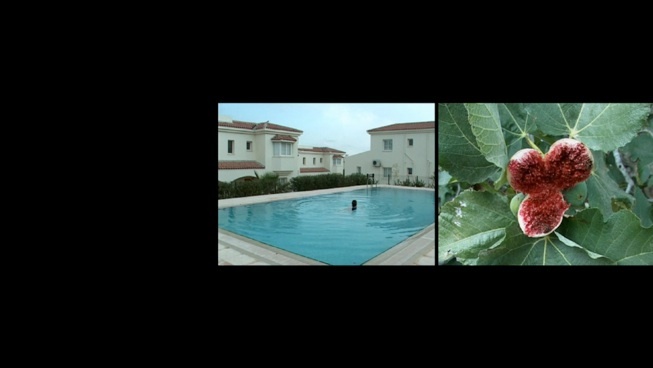 As they lend an ear to the inhabitants and landscapes alike, the artists describe the Cypriot situation in all its complexity, and thus avoid any binary simplification which would reduce the island’s history to a split between two nationalities. Taken by a hand-held camera, the at times chaotic pictures recreate the artist’s constant amazement, working as they do with improvisation. 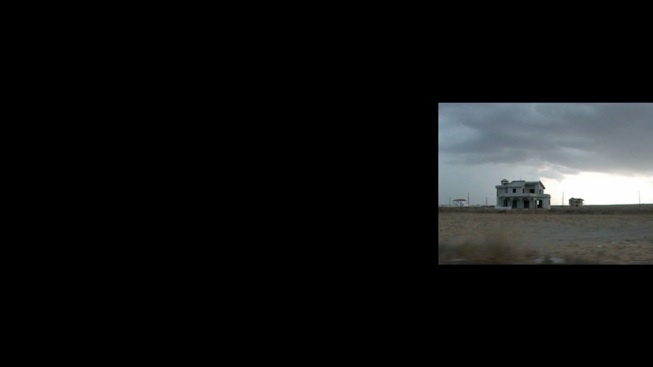 By using the simultaneous feature of three screens to enact a musical score made up of repetitions of one and the same shot, slight de-synchronizations, and variations of viewpoints on the same subject, the montage is more spatial than linear. In Amiens, Blind Song was presented in a dark room, thus offering visitors an immersion in this narrative where many voices and (hi)stories intermingle. 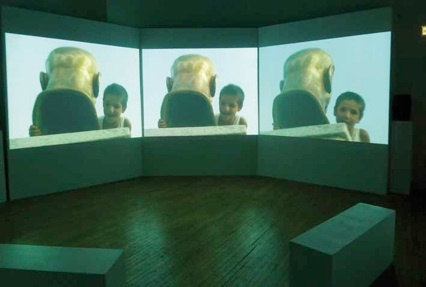 The installation consists of three large screens, arranged like a triptych, with the side panels forming an open angle in relation to the central screen. 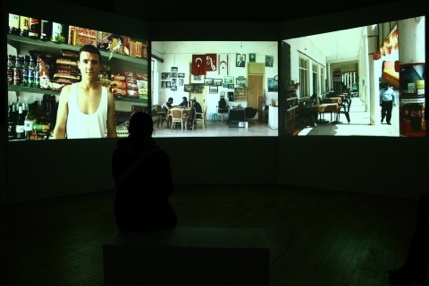 The images projected fill the width of the screens and are juxtaposed, in such a way that the three images form a continuity.